Have you been searching for a Medical Assistant training program in Bakersfield? Unitek College is a private, accredited institution with seven locations in the state of California. Today, we’re going to provide you with a quick overview of the Medical Assistant courses at our Bakersfield Campus. Various industries can be found in Kern Country, including natural gas and other energy extraction, aerospace, mining, petroleum refining, manufacturing, distribution, food processing, and corporate regional offices. Additionally, Bakersfield has numerous parks, trails, and eateries. Some attractions include Hart Memorial Park and the Panorama Bluffs. While students must work hard to be successful, we believe it’s equally important to take breaks and recharge. The Bakersfield Campus occupies approximately 10,350 square feet at 333 Palmer Drive. It contains 4 classrooms, 2 skills labs, and 2 computer labs. A lounge is provided for students as well, and they have access to both administrative and faculty offices. Not only does the Bakersfield Campus have a convenient location, but it provides students with exciting programs and smaller class sizes. At Unitek College, we are proud of our comprehensive yet efficient curriculums. Several Unitek programs give students access to healthcare facilities, practical training, and expert instruction. In addition, most of these programs can be completed in a year or less. 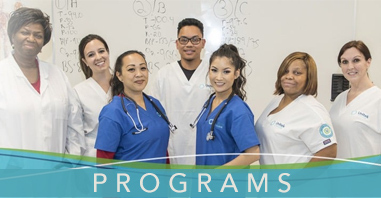 In fact, if you’ve searched for the phrase “speedy Medical Assistant programs Bakersfield CA,” it’s worth noting that you can receive Medical Assistant training at Unitek in as little as 9 months. You might be wondering, just what training do you need to become a Medical Assistant? At Unitek, we offer a program that allows students to take charge of their future without spending years in school. Our dynamic approach utilizes a combination of professional lectures, hands-on exercises, and a 160-hour supervised externship. To give you a better idea of what our MA students study, we’re including specific course names within this section. These may seem daunting to some, but our instructors provide support and often go above and beyond for their students. It’s also good to remember that you can tackle anything if you set your mind to it! 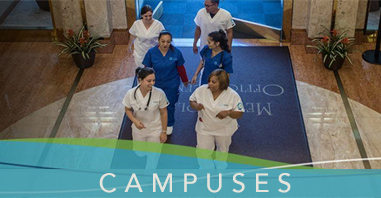 Unitek is one of California’s reputable healthcare and nursing colleges. Taught by field experts, Unitek programs teach the best-practice clinical technique and theory used in the field today. Graduates are equipped with sought-after skills, and they are prepared to excel in many of the fastest-growing careers in healthcare. Change your future with Unitek College! For more information about the MA program and our Bakersfield Campus, please contact us toll free at (888) 912-8512.